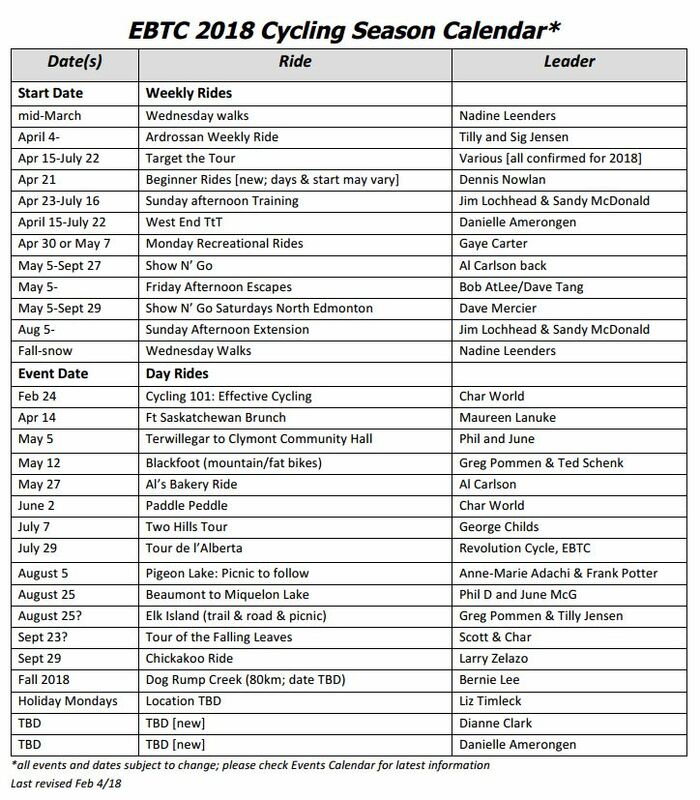 2019 Tour de l’Alberta (TdA) – The 25th Anniversary! 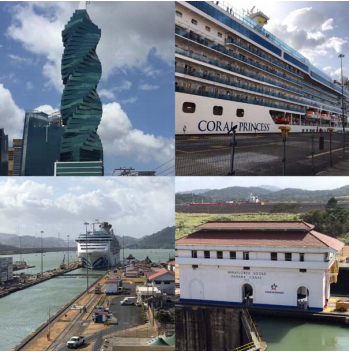 Fantastic news … registration for the 25th Anniversary TdA is open. 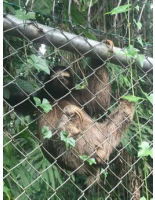 What’s the TdA you ask? 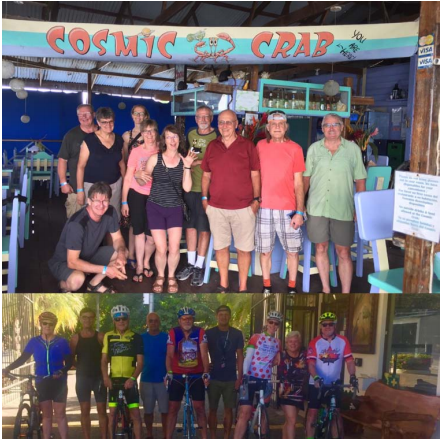 Well, the Tour de l’Alberta (TdA) was started in 1994 by Don Peddie of the Edmonton Bicycle & Touring Club (EBTC) as a club ride for members to celebrate the Tour de France in our French communities and to promote recreational cycling by participants of all ages and abilities. On its inaugural ride, the club saw just over 20 cyclists ride 100 km. Since that day in 1994, the ride has grown to its current state of over 1300 cyclists with four different ride options: Family Ride, 50 km, 100 km, and 160 km.The TdA is one of the largest one-day cycling rides in Western Canada and is a staple on the local sporting event calendar. The Tour has introduced new riders to the sport as well as returning participants from previous years. 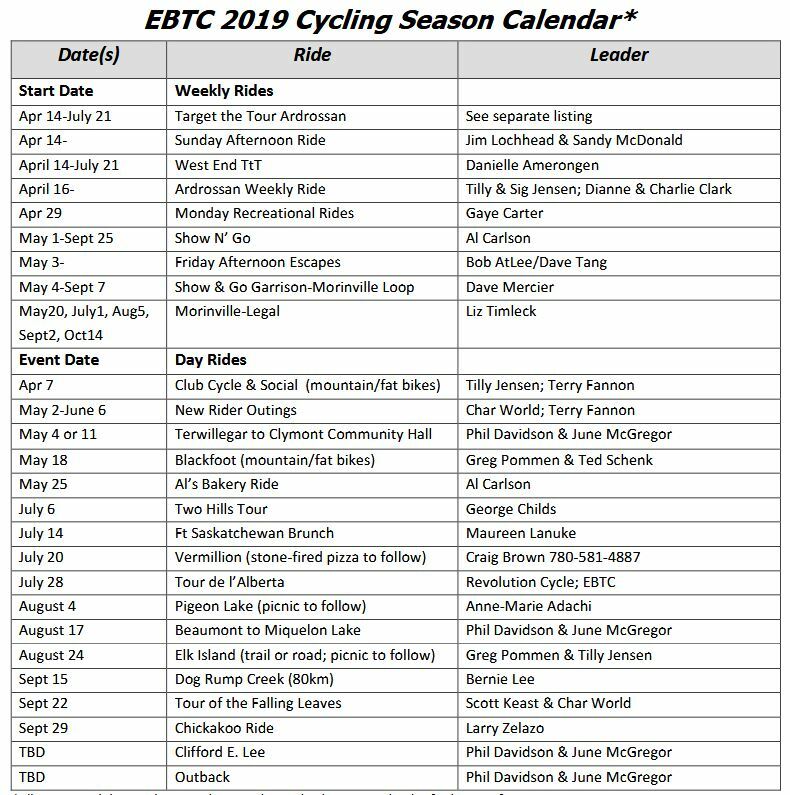 EBTC offers three Sunday rides to help you train for the TdA: West End Target the Tour, Ardrossan Target the Tour, and the Sunday Afternoon Rides. Not sure if you want to register yet? Well get to it because there are early bird incentives for EBTC members!! If 150 EBTC members register before May 31, they not only get a preferred rate of $85 but will also receive a free pair of 25th anniversary socks branded with the EBTC and TdA logo. Additionally, 1 of those 150 EBTC members will be the lucky recipient of a VIP upgrade valued at $275!! And get your friends to register because if total registrations exceed 750 by July 1, another EBTC member will be eligible for a VIP upgrade. So there are two VIP upgrades up for grabs. Spread the word! Please join us for our New Rider Series beginning Thursdays May 2 thru June 6. Rides will begin at 6:30 pm leaving from the Rundle Park tennis court parking lot (Google Maps will provide directions). All bicycle types are welcome, and the rides will begin with distances that suit the riders attending on any given evening. We leave no cyclists behind! Club membership and a CSA approved helmet are mandatory to ride on any EBTC ride. We left the cold behind!! 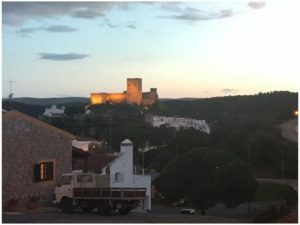 In February, four EBTCers left the freezing Edmonton temperatures and headed to Portugal to join a 10-person cycling group doing the Algarve region of Portugal. 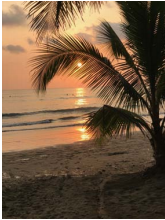 We had one day of light rain during the 12 day trip with temperatures of about 18-25C in the afternoons; mornings were a bit chilly at 12-15C but way better than the temperatures we heard Edmonton was having at the time!!! The colourful spring flowers were blooming in great abundance along with forests of almond trees in their pink brilliance; it was stunning. 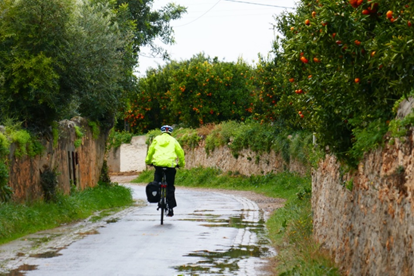 We rode through seemingly endless orange groves that were laden with fruit not quite ready for picking. After finishing our ride one day we had a special afternoon treat. Our hotel that night was right on the route of the Volta ao Algarve, Portugal’s equivalent of the Tour de France. 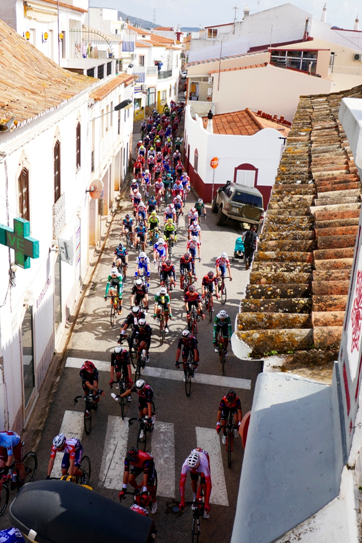 From our rooftop vantage point, I was surprised at how exciting it was to watch all the police motorcycles come through to clear the streets, then the team support vehicles, the breakaway group, and then the massive peloton … WOW!!! Couldn’t believe the speed at which they took the corner around our hotel shoulder to shoulder over those cobbled streets. 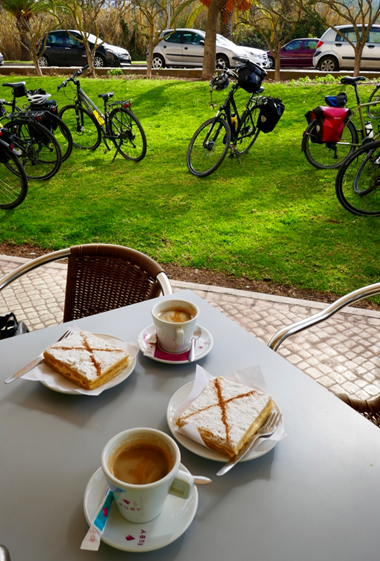 In keeping with EBTC protocol, we had daily coffee stops along the way that often involved luscious pastries. 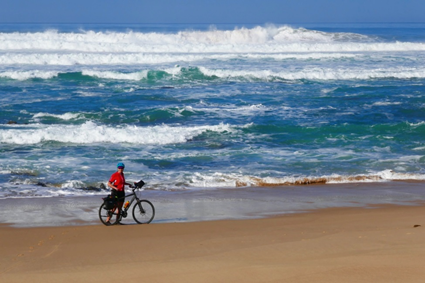 We had some days riding by the Atlantic Ocean along spectacular cliffs and gorgeous beaches. 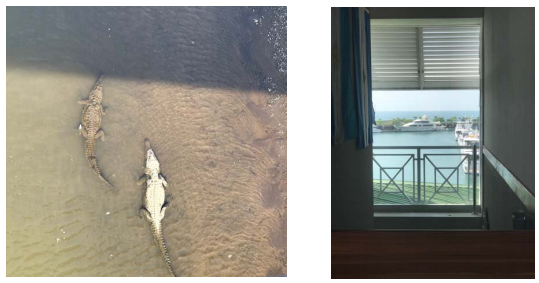 It was a memorable trip. 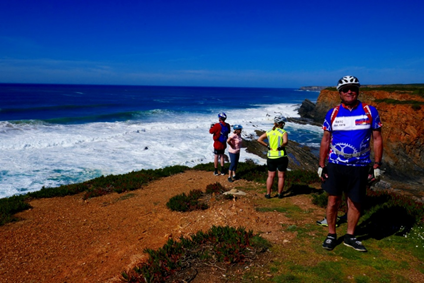 Six EBTCers are doing the Heartland Tour with Pedal Portugal in May 2020 which this cyclist is looking forward to. 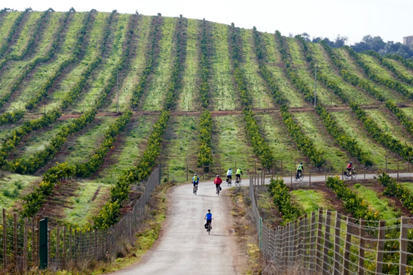 Maybe after that we’ll do Pedal Portugal’s Border Castles Tour which is supposed to be another great adventure. 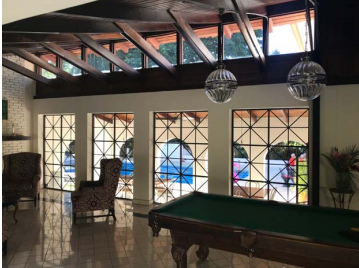 For those of you who haven’t been to Portugal, don’t wait too long … Portuguese prices are ‘Canadian friendly’ unlike other European countries. 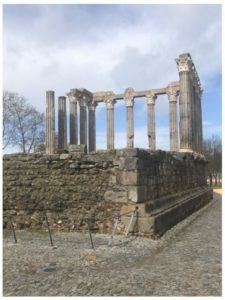 The shoulder seasons are the perfect time to not only cycle, visit some of the amazing historical sites that abound in Portugal, and escape our cruel Alberta winters! You did it again! 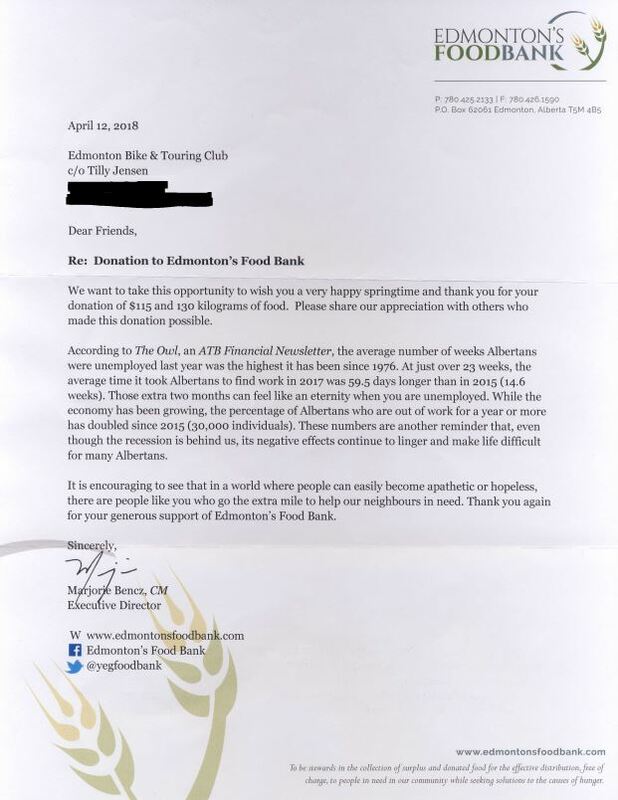 Below is the letter from Edmonton’s Food Bank regarding our most recent contribution of 130 kg of food plus $115 cash resulting from the April 8th Social. Once again, YEAHHHH EBTCers!!! 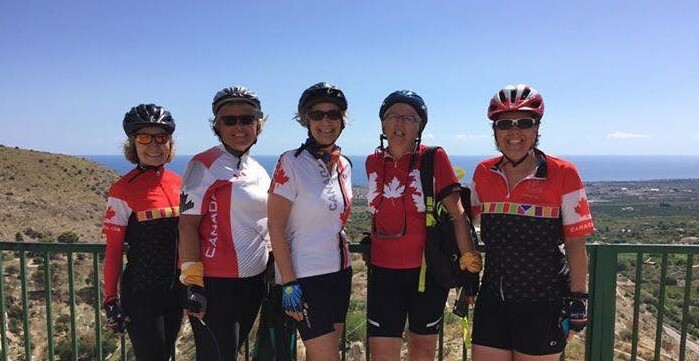 Five EBTC members spent one memorable week cycling in Sicily, Italy. In September 2018, we explored the south-eastern part of the island, pedalling through the Baroque gems of Ragusa, Modica, Noto and up to Syracuse, the ancient Greek capital. Our adventure started in Palazzolo Acreide, a maze of narrow streets and Baroque churches built after the 1693’s earthquake on the site of the Greek Akrai, which was founded in 664 BC. 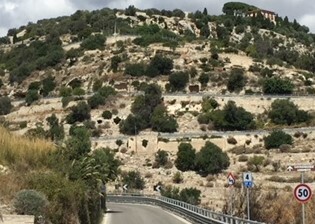 We took the scenic roads to Modica, riding through the lower valleys of the Iblean Mountains, passing olive plantations and dry-stone walls. A few hills on that day lol. 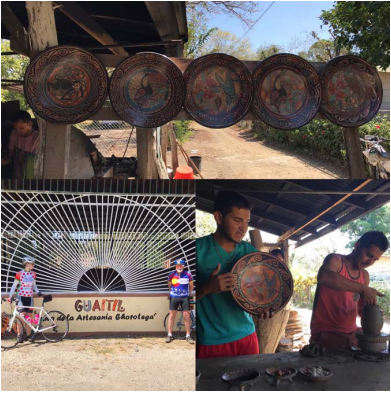 On our second day of riding, before leaving Modica, we had a taste of the original Aztec chocolate recipe that is famous in Modica. We then made our way downhill, along a ravine to Marzamemi. 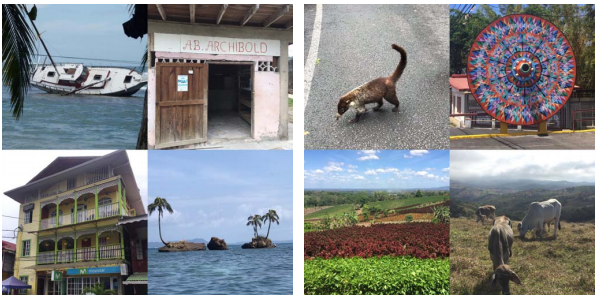 On days 3 and 4, our ride took us through the coastal wetlands Patano Longarini and Patano Cuba. We followed the coastline to reach Sicily’s southernmost point: Isola delle Correnti, where the waters of the Ionian and the Mediterranean seas merge. Yes! Some of us did take a dip in the sea! We then turned back north to the town of Noto, another UNESCO World Heritage site. Day 6 was a challenging climb towards San Corrado to reach the canyon of Cavagrande del Cassibile. After a well-deserved cappuccino, we had quite the winding descent to the coastal plain and the sea at Syracuse, the capital of Magna Graecia. 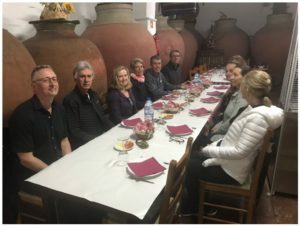 A typical day of riding started around 8:30 with a mid-morning coffee break and later in the day a beautifully prepared lunch of local cheeses, olives, tomatoes, bread and a few surprises. 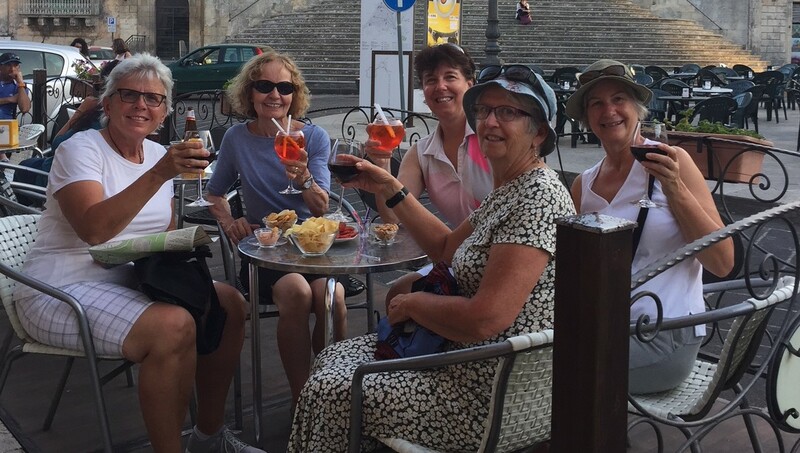 By 3:00 we were usually at our hotel and with a chance to relax and look forward to a group supper that of course always included wine. Not only was this trip a learning experience about the Sicilian culture, but also an awesome bonding experience between the five Canucks and our new found friends. 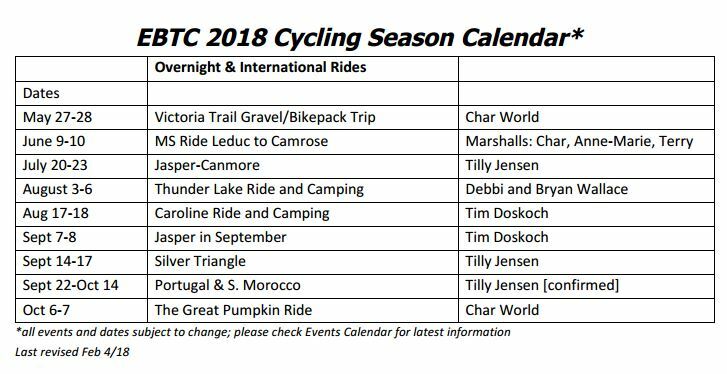 We have one fantastic season of cycling planned again thanks to our amazing trip leaders! All events and dates subject to change. 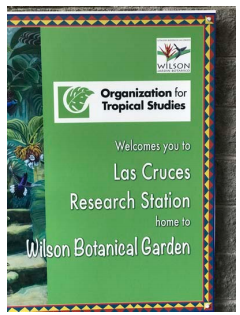 Please be sure to check the Events Calendar for the most up to date information!